The way consumers interact with their favorite brands may be shifting. 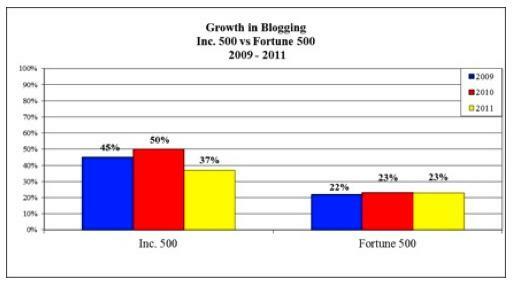 According to a new report from the University of Massachusetts, a number of companies in the Inc. 500 fastest-growing private companies in the US have begun to drop the corporate blog in favor of micromedia mediums such as Facebook, Twitter and LinkdIn. The Dartmouth marketing study has been tracking the use of social media in the Inc. 500 for 5 years. The study takes its data from 24 different industries within 36 different states. The majority of surveyed companies have 1-50 employees and report annual revenues of $3m-$10m. So, how are companies choosing to communicate in 2011 and beyond? Social media seems to stay prominent in the minds of the 170 responding executives with regards to brand awareness; 88% see social media as crucial to web traffic, while 73% believe social media important for customer support. According to the study, trends point to “incorporation of new platforms and tools including Facebook, LinkedIn, Twitter, YouTube, texting, downloadable mobile apps and Foursquare,” with a reduction in blogs, message boards, podcasting and a complete dismissal of MySpace. Facebook is the most popular platform, with 74 % of companies using, followed by LinkedIn with 73%, and Twitter with 64%. The findings in the study mirror an interesting point in analyst Jeremiah Owyang’s post last year about the end of the tech blogging golden age. Owyang says that the needs of audiences has changed, and thanks to a fragmented attention span, many prefer smaller and shorter content-bites in order to cut down on the sea of content vying for their attention. The Dartmouth study says that new tools are “replacing” the old, pointing to an evolution in social media use and a shedding of the old in favor of “newer, more nimble tools,” but Frank Reed from Marketing Pilgrim points out that “Twitter and Facebook are not true engagement tools on a deeper level. They are hooks.” While these micromedia sites may be perfect for attention grabbing, ice breaking, mood sustaining as well as for customer service, Reed says that company blogs are necessary for the meat of deeper conversations. A micromedia resource shift seems to be a short-sighted strategy, which Reed says, may be choice that is a reflection of the current miserable US economy. 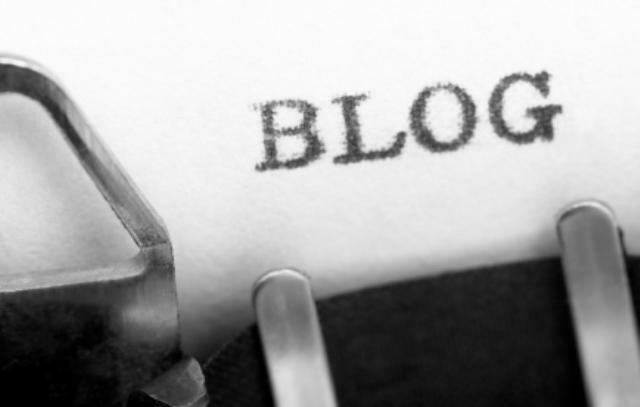 With both the Inc. 500 and Fortune 500 snubbing the blog, and the rise of micromedia adoption, is this the corporate blogs end? And if it is, for those of you that follow certain company blogs (Playstation, Google, Microsoft, etc. ), will an increased shift to micro-updates be a bother or welcomed?